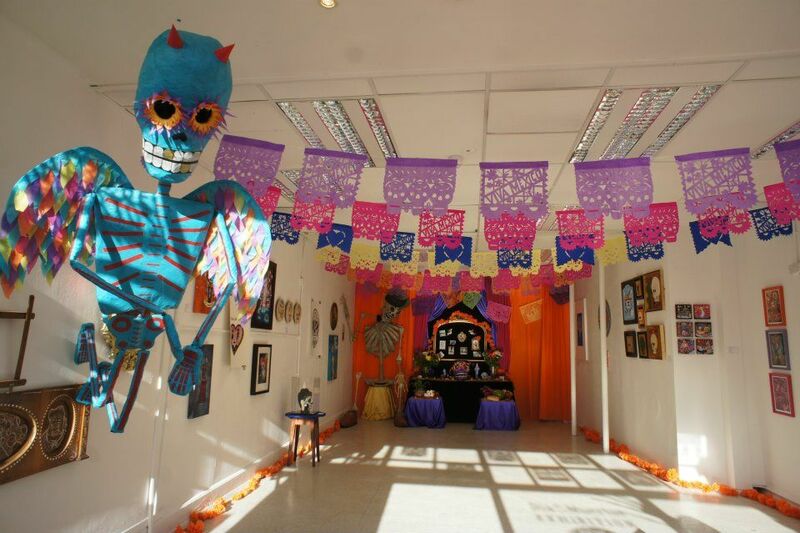 Presenting our second exhibition of illustrations, paintings, photography and 3d work from international and local artists celebrating Mexico's traditional 'Dias De Los Muertos'. This year featuring: Tom Bagshaw - David Lozeau  RichT - Steve Simpson Skev - Mike Egan - WJC - Julian Kimmings - Inkie Romina Berenice Canet - Dom W - Dave Bain - 3Dom Everly Dark - Julie Bennett  Khoi  Gemma Compton Ollie Munden - Iain Sellar - JJ Lynch - Hannah Rose Stewart Gary Smith - Lochness - Hannah Dymond - Stae Ruth Broadway - Lucy Rose Doll - Bo Silvestre Mose120 - Natalie Hughes - Oli Timmins Jemma Bursnell - Bex Rose - Dave Watt They say the Day of the Dead is like celebrating the birthday of someone who has passed away, and that we should give them a great party, so come and help us celebrate our loved ones with a fiesta from 11am until 6.00 pm on Saturday 27th October. Please feel welcome to bring along a photograph (A copy would be best) of your loved one to add to our Ofrenda.